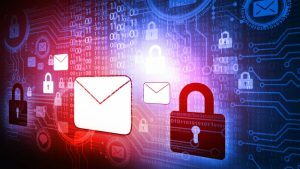 It comes as no surprise that email is among the primary means for hackers to gain access to sensitive business data, and small businesses are particularly vulnerable for such tactics. 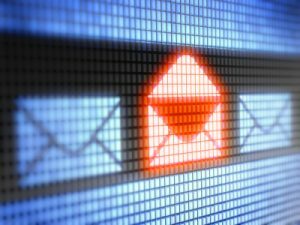 Fortunately, there are ways to ensure your Singapore business runs a fully-protected email system. Since your computer security is just one part of the equation, getting your employees involved strengthens even more the overall security you have in your IT infrastructure. Here are some tips to get you started. Make it a priority to create a security plan for your tech system. This should involve more than just considering how to keep your email service secure, but also coming up with strategies for keeping your website, payment data, and other information safe. Encrypting your email protects your personal information from hackers by only allowing certain users to access your emails. There are numerous methods of email encryption depending on the security level you need. One example is to download software from an IT services company that will plug in to your email program, such as Microsoft Outlook. Another one is to install an email certificate, allowing employees to share a public password with people who want to send them emails and use a private password to decrypt received emails. Create a policy that will require your employees to delete non-business-related emails. Many Singapore companies allocate 60 to 90 days before an email is automatically and permanently deleted from the system. Many know that Dynatech awarded as technology expert in Singapore due to its high level of quality services and you can consider engaging them for your internal infrastructure. However, remembering to purge emails that don’t comply with the standards can be difficult for some workers, so you may need to do frequent reminders. Every employee should have their own passwords for their email system and computer unit, which should be changed every three months and must be of the strongest strength. A strong password must consist of 12 characters and a combination of uppercase and lowercase letters, numbers, and symbols; and should not be something obvious like birthdays and names, but one that’s memorable. 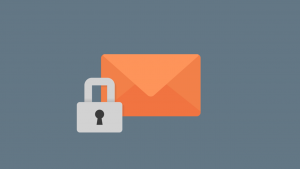 Employees play an integral role in keeping your business’ email system secure. They should know what types of actions and emails to avoid. Unfortunately, many companies take this part for granted and spend less than one percent of their security budget on programs that educates employees on how to spot and react to security threats. Don’t put your business at risk, and take step of training your employees for a more hack-proof email system. Any usage of mobile device for company-related purposes must be filtered and should strictly follow security policy. When using a personal or company-issued mobile device where you send and receive emails, everyone should encrypt data and install an approved security app so malwares cannot penetrate the system. Other than the aforementioned things, email can still be prone to hackers and intruders in other ways as well. Be sure to take care of the following, alongside the tips given. •	All computers—not just some—should utilize email encryption. It’s useless to encrypt emails in one computer unless the same standard runs across the entire network. •	Unlocked devices should never be left unattended. Include in your company policy to keep computers lock, which should ask for password at login, before leaving their desks. Creating the right policy and having the right people around to help you implement better security policy will eliminate a lot of IT issues before they could actually happen. Get your employees involved and talk to a service provider for the right IT services and solutions to integrate to your system. The right IT services helps a lot in malware-proofing your emails and, thus, improve your business’ overall performance.